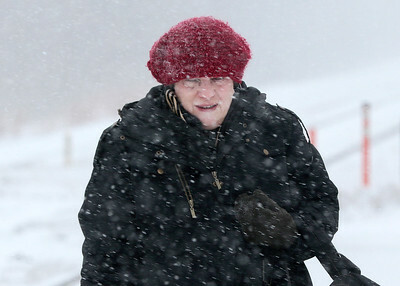 Kyle Grillot - kgrillot@shawmedia.com Mary Beth Janssen of Barrington Hills braves the severe weather as she approaches the Fox River Grove Metra station Thursday, January 8, 2015. The National Weather Service has issued a winter weather advisory in effect until 3 a.m. Thursday morning. 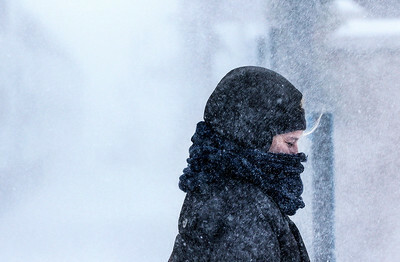 The strong winds could result in considerable blowing and drifting snow, leading to white out conditions in MCHenry County. 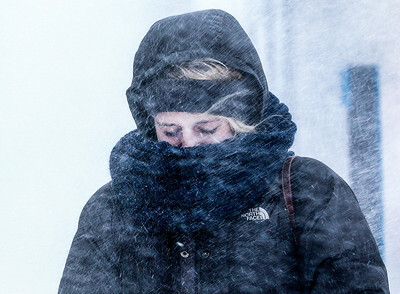 Kyle Grillot - kgrillot@shawmedia.com Kaylee Ryan of Cary attempts to shield herself from gusts of snow as an inbound Metra train approaches the Fox River Grove station Thursday, January 8, 2015. The National Weather Service has issued a winter weather advisory in effect until 3 a.m. Thursday morning. The strong winds could result in considerable blowing and drifting snow, leading to white out conditions in MCHenry County. 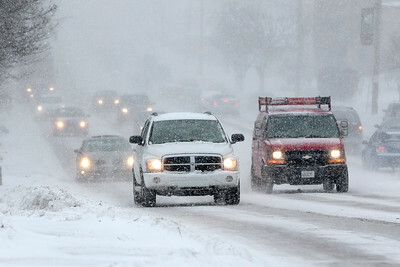 Kyle Grillot - kgrillot@shawmedia.com Motorists travel through heavy blowing snow along Northwest Highway Thursday, January 8, 2015 in Fox River Grove. The National Weather Service has issued a winter weather advisory in effect until 3 a.m. Thursday morning. The strong winds could result in considerable blowing and drifting snow, leading to white out conditions in MCHenry County. Kyle Grillot - kgrillot@shawmedia.com An outbound Metra train approaches the Fox River Grove Station Thursday, January 8, 2015. The National Weather Service has issued a winter weather advisory in effect until 3 a.m. Thursday morning. The strong winds could result in considerable blowing and drifting snow, leading to white out conditions in MCHenry County. 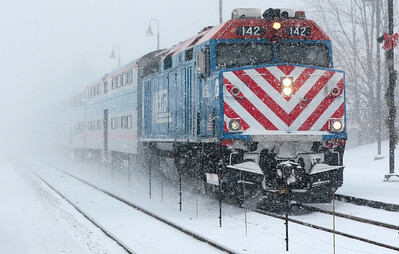 Kaylee Ryan of Cary attempts to shield herself from gusts of snow as an inbound Metra train approaches the Fox River Grove station Thursday, January 8, 2015. The National Weather Service has issued a winter weather advisory in effect until 3 a.m. Thursday morning. The strong winds could result in considerable blowing and drifting snow, leading to white out conditions in MCHenry County.